How do you balance restoring an abandoned building with creating an album from the ground up? You get your A&R to chip in on fixing the plumbing. Dug Infinite shares the story behind making the album “Accept Your Own & Be Yourself (The Black Album)” which he co-produced with No I.D. in 1997. 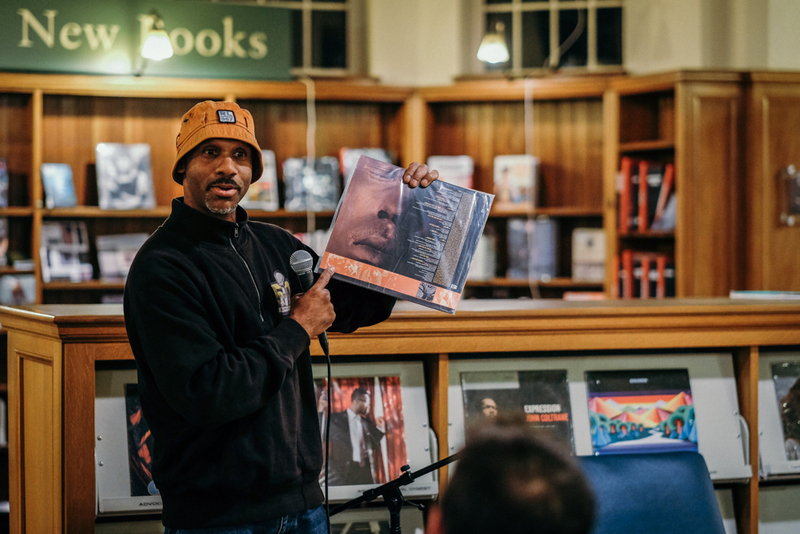 Dug’s story was recorded at our second anniversary show on September 28, 2016 at the Bernal Heights branch of the San Francisco Public Library. Tags: Chicago, Dug Infinite, Hip-Hop, No I.D.